This time of year has to be one of the most exhausting all round – it’s the run up to Christmas, which means amazing exciting things of course – but also parties, dialling up the social calendar and also the run up to the end of the year which means work-wise it feels pretty much everything has to be finished so you can start a fresh in the New Year. Throw in the increasingly cold weather and short days, dark nights and excessive time in front of screens and I have one pair of tired peepers! So this product might just be what the doctor ordered. 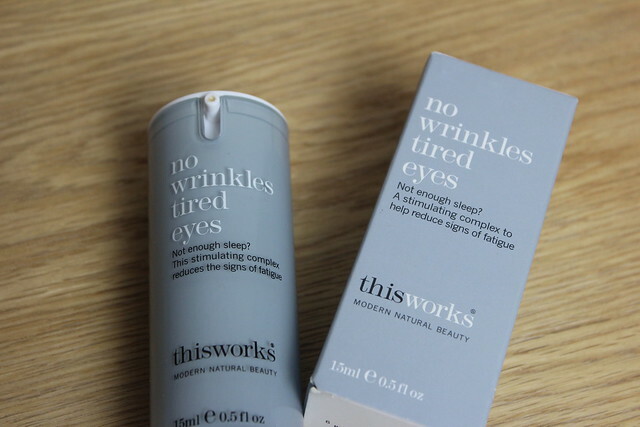 This Works has that perfect sort of confident name that just instills confidence – you just get a feeling that they don’t mess around and as such, trust that the products will do as they say. 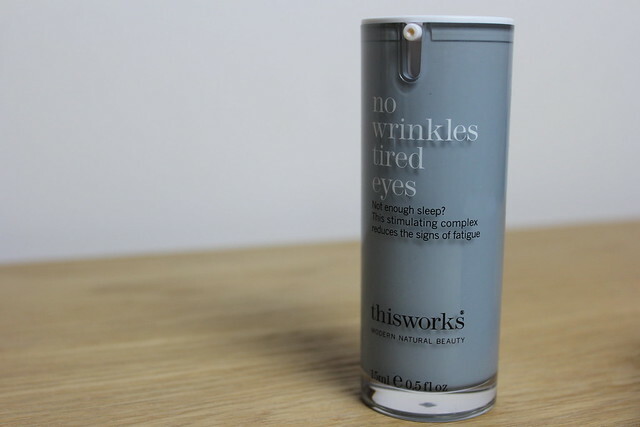 This one promises to help reduce the signs of tiredness… yes please! The packaging is slick and easily dispenses just the right amount of product – a small pea sized amount of a creamy gel that feels refreshing and peps up eyes in one fail swoop. Does it really reduce the signs of fatigue though? Well, generally tiredness and dehydration tend to be the two culprits for dark circles (that and a less than great diet…) this one really helps with the dehydration as it instantly pack a punch of moisture that feels refreshing (makes me feel more awake…so that helps) and leaves the under-eye area feeling plumped and hydrated. So does This Works actually work? I’d say yes, it definitely refreshes and hydrates and feels amazing after a long day in front of the computer. Does it work better than a good nights sleep? Maybe not…but that’s not always an option do definitely one to have in the party-season beauty-arsenal…! 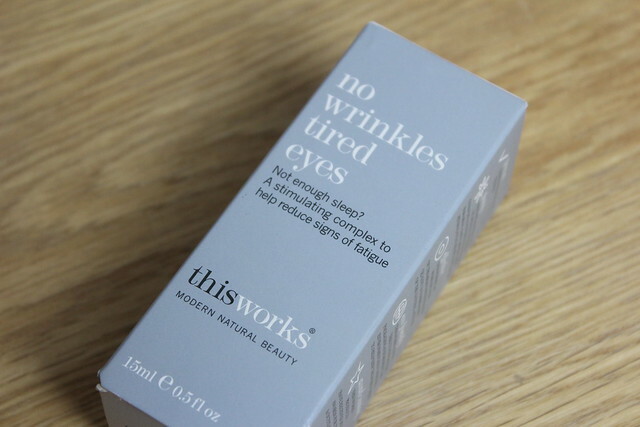 At £12 I think this is a bit of a bargain too – much more affordable than other under-eye wonders out there and refreshes and hydrates like the best of them! This looks great! I love This Works and I think £12 is a bargain if it does what it claims, and looks like you get a lot of product too! I’m currently looking for an eye cream as my eyslix is almost gone, while I will buy another I think its the perfect time to try another! I will have a look at this, I do like the ‘this works’ brand.